There's no doubting the ambitions of Through The Window Pane. Its makers, London's Guillemots might be able to trace their roots back to the indie underground – like so many, frontman Fyfe Dangerfield got his musical break when his former band recorded a John Peel session – but this is a debut that owes nothing to angry abrasiveness or wilfully leftfield tactics. Diverse, subtle, and commendably understated – see the opening "Little Bear", five minutes of near silence interrupted only by gentle strings, lounge piano, and Dangerfield’s soft, operatic vocal – this is an album seemingly diametrically opposed to the voguish all-mouth, no-trousers school of modern indie. "Made-Up Love Song 43" combines tearful, emo-tinged balladry with sped-up vinyl wobble, heavenly vocal choirs, and distant accordion, while the spacey "A Samba In The Snowy Rain" confirms Guillemots luxuriate with the sort of progressive rock nous that should see their name mentioned next to the likes of Sigur Rós or Mew. It's not all bombastic – "Blue Would Still Be Blue" is comparatively restrained, Dangerfield's impressive range hitched to spare keyboard blips. 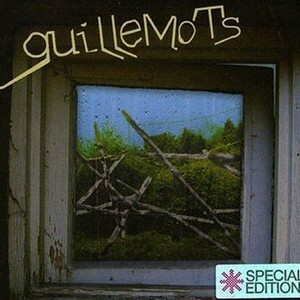 But as "Sao Paolo" builds from swinging piano ballad to horns-powered prog symphony over eleven fireworks-packed minutes, there's no denying that in the world of Guillemots, bigger is definitely better.